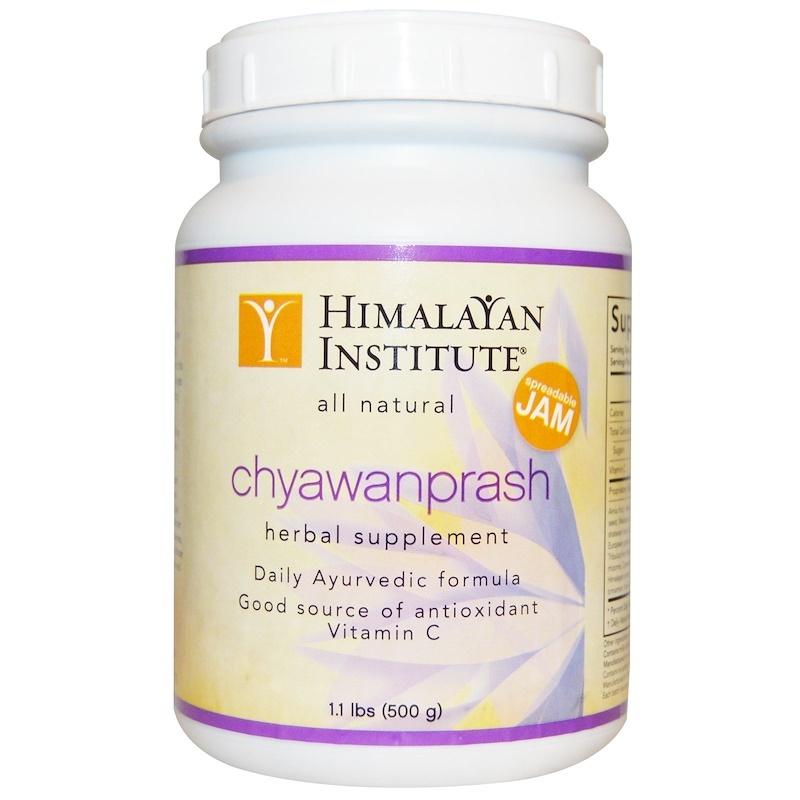 Described in ancient Ayurvedic texts, Chyawanprash is a synergy of specifically selected herbs and fruits in a nutritive tonic. The principal herb Amla (Amalaki) is one of the world’s most concentrated naturally occurring sources of antioxidant Vitamin C. A spoonful a day of this 2,000 year old formula is a tasty way for people of all ages and doshas to nourish mind and body, while supporting healthy immune function. 1 to 2 teaspoons daily on an empty stomach ideally followed by hot water or boiled milk. Consider age, size, constitution and personal preference when choosing serving size. Spread on toast or crackers for an invigorating snack. Sugarcane, ghee (clarified butter), honey & sesame oil. Manufactured in a facility that also processes extracts of almonds, walnuts & pistachios. Manufactured for the Himalayan Institute at a GMP certified facility in India. Each batch has been tested for and certified free from heavy metal contamination. Not intended for use by those who are pregnant or breast-feeding, have diabetes, or are taking medication, without first consulting a qualified healthcare professional. Do not use if safety seal is broken. Use only as directed.